Famed 19th century self-promoter Phineas T. Barnum often opined that there’s no such thing as bad publicity. And while that philosophy certainly worked well for the American circus owner, we here at The National Center for Outdoor and Adventure Education (NCOAE) have discovered that a little promotion for a genuinely good cause can go even further. We scored some valuable press coverage recently, and we weren’t a bit shy about our self-promoting efforts. The result was a seven-minute video-enhanced piece of journalism titled Beyond the Classroom, beautifully produced by EducationNC, an independent source of news, data, and analysis about education for the people of North Carolina. EdNC’s content encourages the public’s participation and leadership on behalf of school children in this state. With kids’ education top of mind, we reached out to EdNC, suggesting the news organization might want to send a reporter or two to investigate our Education Without Walls program. Education Without Walls is NCOAE’s not-for-profit subsidiary. It is a wilderness-based outdoor education program for teenagers, many of whom — through no fault of their own — live at or below the federal poverty level. 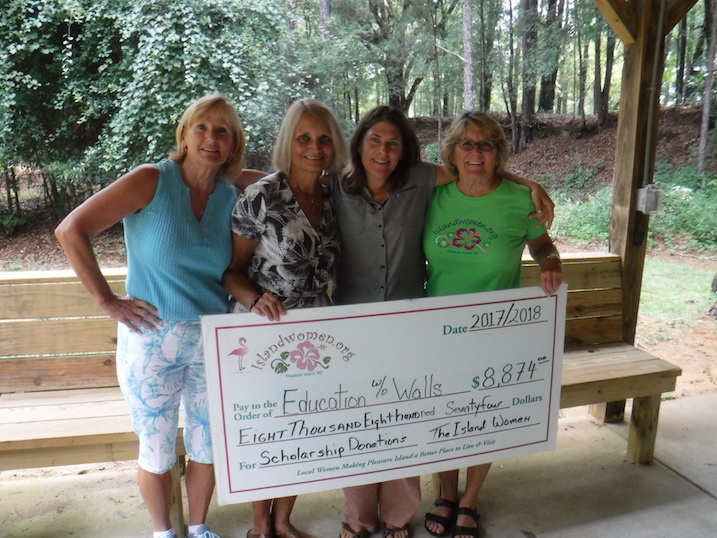 We here at The National Center for Outdoor & Adventure Education (NCOAE) are very proud of the Education Without Walls program and its students! 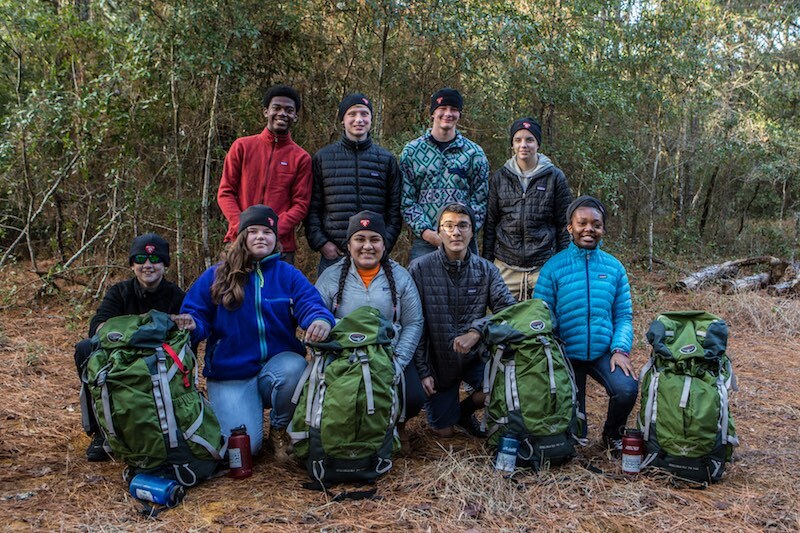 Education Without Walls is a wilderness-based outdoor education program that engages 13 to 18 year old students in a variety of adventure activities, including backpacking, rock climbing, surfing, kayaking, and camping. This non-profit program, established by the The National Center for Outdoor & Adventure Education (NCOAE), provides scholarships for motivated students in financial need, to participate in outdoor adventure programming. By using Wilderness as a classroom, Education Without Walls offers an exceptional learning environment — one where instructors foster curiosity, students apply critical thinking, and memories are constructed and not soon forgotten. Instructors use NCOAE’s Core Curriculum to guide lesson planning and the facilitation of experiential education activities that focus on personal development, community building and the acquisition and mastery of technical outdoor skills. As a result, Education Without Walls students make close friends and learn incredible skills, all while having a blast on adventures of a lifetime. 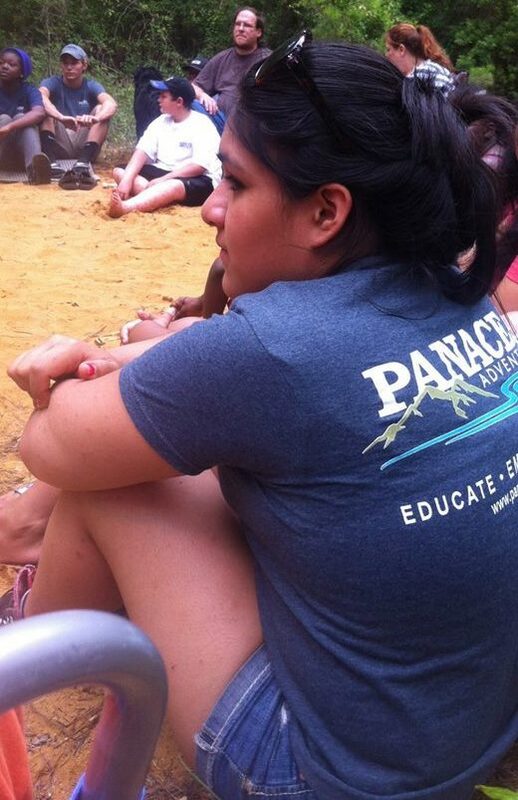 Joaly participating in an Education Without Walls trip in 2013. We’d like to introduce you to one of the many success stories that has come out of Education Without Walls — Joaly Canseco — and tell you a little about her background and thoughts about her own life-changing experience with Education Without Walls. Thanks to a $25,000 grant from the National Park Service (NPS), 10 students enrolled in our Education Without Walls program will participate in a 21-day summer 2017 backcountry adventure in southeast Alaska. The funding for the trip, which is designated as an NPS Challenge Cost Share Program Grant, covers nearly all the costs associated with taking the students to our northernmost state for what amounts to the trip of their young lives. The only catch is, the five boys and five girls selected for this outdoor education and service learning adventure are still a bit shy of having enough funds to make the trip, which will be guided by a trio of National Center for Outdoor & Adventure Education (NCOAE) instructors, as well as two National Park Service archeologists. Specifically, each of the students pictured above will need about $1,000 to pay for round- trip commercial airfare from Wilmington, NC, and bush flights throughout the Alaskan interior. If you follow us on Facebook, you may have read about a Community Outreach grant we recently received from the Vertex Railcar Corporation — a startup that’s focused on building the next generation of safe rail tank cars. Vertex and The National Center for Outdoor & Adventure Education’s (NCOAE) are neighbors here in Wilmington, N.C. When Vertex learned about the work we do through our Educational Without Walls (EWW) program (namely, offering young people living at or below the poverty line the opportunity to participate in structured monthly outdoor adventures and expeditions), they were intrigued. After meeting with our executive team in person here at NCOAE headquarters and asking how they could help, we received a $15,000 grant from Vertex to further expand the EWW offering between now and the end of 2015. While we were blow away by Vertex’s support of our local youth, what happened next impressed us even more. Vertex Outreach Services strongly support the efforts and work of the organizations it supports, including NCOAE. While they’re among the first to stand up and applaud the outstanding services we provide to our local youth, they’re also the type of corporation that walks its talk. It probably goes without saying that most of us here at the National Center for Outdoor & Adventure Education (NCOAE) are big fans — and loyal customers — of our local Whole Foods Market. Since we put such an emphasis on doing good things for our bodies, it only makes sense that we purchase those items we put in our bodies from markets that sell only healthy, organic and fresh fare. What that means is this: You do your grocery shopping at the Wilmington Whole Foods Market on March 23, 2016 — also known as Community Giving Day and 5% Day — and 5 percent of Whole Foods’ net sales on that day are donated to the Education Without Walls program, allowing us to continue our important work of educating local youth through unique wilderness-based experiences just miles from home. In ecology, “sustainability” refers to one’s capacity to endure. It’s how biological systems remain diverse and productive for very long periods of time. The notion of sustainability applies also to not-for-profit organizations, and in our case here at The National Center for Outdoor & Adventure Education (NCOAE), to our ability to attract and retain support that allows us to offer scholarships to youth interested in participating in our programs. With that as a backdrop for today’s blog post, we’re pleased to announce that Vertex Railcar and Vertex Outreach Services has again decided to provide $15,000 in funding for Education Without Walls (EWW) — NCOAE’s scholarship supported adventure program for local youth whose family income often falls below the Federal poverty level.